Every time at various auctions we can see pocket watches, which interest has not dried up. Collectors appreciate the updated appearance of pocket watches, using in their creation the most unusual materials and even convertible styles. However, only a decade ago pocket watches were in an enviable position. Among the major collections of the watch brands it was almost impossible to meet at least one pocket model. A new approach to pocket watches reflects the modern man and his desire to wear pocket watch with jeans hanging from a belt loop or other "innovative" ways. Today, about a dozen of the most prestigious watch brands produce pocket watches, which have become worthy addition to their main collections. Sometimes modern pocket watches have extremely original design with modern design elements, for example, instead of the traditional chains, watches have a leather cord or the watch itself are made of high-tech and unique materials. 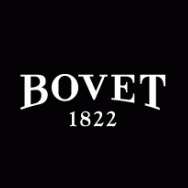 Bovet company, thanks to a specially designed system, presents excellent pocket masterpieces that can be used as pocket watch and wrist watch, and even desktop watch. Bovet Amadeo® Fleurier watch is convertible automatic watch that comes with a leather strap as a wrist watch and chain like a pocket watch. The watch has a hinged case back that turns it into miniature table watch. Watch Amadeo ® Fleurier Tourbillon Virtuoso III is a brand new addition to the collection Bovet. The model is a 5-day tourbillon with retrograde perpetual calendar, representing the technical and artistic masterpiece. All information is applied to a perpetual calendar and sapphire disks located on the perimeter of the dial. Due to this, the dial has enough space for the trigger of the tourbillon. Chopard company has also remained in the shadows, presenting pocket watch LU C Louis Ulysse The Tribute, which also transformed from a pocket watch in the wrist and vice versa. First this watch was presented a few years ago in honor of Louis Ulysse Chopard, who founded the brand in 1860. Mechanical watch L.U. C Louis Ulysse The Tribute is made of 18-carat white gold and certified COSC. This watch also can be transformed from pocket watch to wristwatch with one quick movement through a system based on the regulatory system of lugs. Bell & Ross company in its turn offers a very functional and traditional pocket watch - Heritage PW1, the creation of which the masters inspired of vintage aviator watches. In the 49-mm case is enclosed with manual winding mechanism and has a grooved crown for easy use with gloves. Domed crystal gives the watch a vintage look. Heritage PW1 watch is quite authentic, but it has urban chic. Swiss watchmaker Bell & Ross at the annual international exhibition of watches and jewelry BaselWorld 2014 will officially unveil a new model BR 03-4 Carbon Orange Limited Edition chronograph with orange hands. The watch brand Bell & Ross, famous for boundless passion for the world of aviation, decided to give homage to pocket watches, used by the military during the First World War. The watch brand Bell & Ross, famous for its boundless passion for the world of aviation, decided to join forces with the airline Dassault Aviation. The company Bell & Ross, famous with its boundless passion for the world of aviation, presents a new women`s watch model BR S Officer in an elegant case with a diameter of 39 mm. The watch brand Bell & Ross has added the pocket watch collection with a mechanism Repetition Minutes, which can indicate on request the hour and minutes with the melody. Low musical notes sound every hour, and double low and one high-pitched sound - every five minutes. The famous watchmaker Bell & Ross presents a new watch BR03- 94 Tornado Chronograph, in a limited edition. Watchmaker Bell & Ross presents a novelty Vintage WW1 Argentium Opaline Dial. The model is characterized by a vintage design of the First World War. Watchmaker Bell & Ross has developed a new watch BR 03-51 GMT Carbon, having a square case with rounded corners on the 4 screws in stainless steel with black PVD coating. The case length - 42 mm, water resistant - 100 meters. September 28, 2013 for the fifth time in the Principality of Monaco under the patronage of His Serene Highness Prince Albert II of Monaco will be an auction Only Watch 2013 with the participation of more than 40 leading watch companies. The new Vintage WW1 Regulateur watch by Bell & Ross, released in a limited edition, is presented at the international exhibition of watches and jewelry BaselWorld 2013. The iconic aircraft collection BR 01 by the watch company Bell & Ross directly inspired by the cockpit instruments and displays four basic requirements: clarity, functionality, precision and water resistance. International Automobile Festival in the 28 years of its existence has set new standards in the world of car design. This year's ceremony was held at the famous Parisian Nursing Home. The famous Swiss company Bell & Ross has announced the release of new models PW1 and Vintage WW1 Argentium, for creating of which are used the models of the First World War: PW1 pocket watches and wristwatches Vintage WW1. Recently, the famous watch company Bell & Ross has developed a novelty WW1 Chronographe Monopoussoir, which complements the WW1 collection. All models presented in this line are made in retro style. The famous Swiss brand Bell & Ross has announced the release of new watch models Commando BR03, which is an improved version of the BR01 watch, presented at the exhibition BaselWorld 2012. The Swiss company Bell & Ross has introduced a new model of the wristwatch Vintage BR126 Sport, the design of which is a perfect combination of vintage style with elements of sporting dynamics. Products by this company have always distinguished with oriented "military". The company’s watchmakers do not just speculate military theme to create separate models, but also build almost the whole philosophy of their products to use images from a variety of military aircraft and equipment, etc. 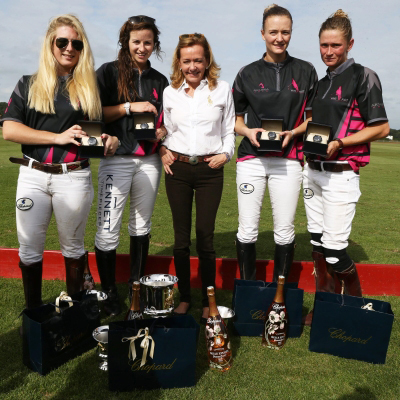 The company Bell Ross has presented at the annual international exhibition BaselWorld 2012 a new watch WW1 Heure Sauntante, presented in two versions in pink gold and platinum, every model - in a limited edition. The watch company Bell & Ross has presented at the annual international exhibition BaselWorld 2012 a watch novelty from the Aviation Collection - the BR01 Turn Coordinator watch. Aviation Collection - one of the most famous watch company Bell & Ross, inspired for the creation by the dashboard instruments of the cockpit, and, of course, the romance of the conquest of outer space. The watch line Aviation Collection - one of the most striking works of Bell & Ross, inspired for the creation with the design of the cockpit instrumentation, instrument panel and, of course, romance of the sky and its conquest. Swiss watchmaker Bell & Ross BR 01 watch presented limited edition line of BR 01 Horizon. The famous French auction house Artcurial has organized an unusual auction, the main theme of which was aviation. At the auction, under the name Aeronautics was presented items that are directly related to aviation. The famous watchmaker Bell & Ross has created a watch model in honor of the French National Gendarmerie, which specializes in fighting with terrorism and organized crime. The outfit of these people must meet the highest standards of quality - because it affects people's lives. 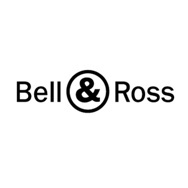 The well – known watchmaker Bell & Ross, through its official page on the social network Facebook, provide access to its Internet - shop, thereby strengthening the relationship with the fans of the watches Bell & Ross. At the end of September 2011 the watchmaker Bell & Ross expanded its line of «military» watches with two new models PW1 and WW1. The PW1 is a pocket watch, and the WW1 - a wristwatch. The vintage design echoes with the appearance of the company’s «military» watches, issued in the 1920s. The watches PW1 and WW1 are a tribute to the first line of the pilot's watches. In September 2011 the famous French company Bell & Ross surprised its admirers by the release of a new watch W1-92 Heritage, in the style of "vintage". The design of the new model echoes with the design of pilot's vintage watches of the 20th century.